Examines the basis of story telling in literature, film, and libretto. This book provides an answer to the riddle of whether there are only a small number of 'basic stories' in the world. Using many examples, it shows that there are seven archetypal themes.The author then leads us through the changes in the nature of storytelling. This remarkable and monumental book at last provides a comprehensive answer to the age-old riddle of whether there are only a small number of 'basic stories' in the world. Using a wealth of examples, from ancient myths and folk tales via the plays and novels of great literature to the popular movies and TV soap operas of today, it shows that there are seven archetypal themes which recur throughout every kind of storytelling. But this is only the prelude to an investigation into how and why we are 'programmed' to imagine stories in these ways, and how they relate to the inmost patterns of human psychology. Drawing on a vast array of examples, from Proust to detective stories, from the Marquis de Sade to E.T., Christopher Booker then leads us through the extraordinary changes in the nature of storytelling over the past 200 years, and why so many stories have 'lost the plot' by losing touch with their underlying archetypal purpose. Booker analyses why evolution has given us the need to tell stories and illustrates how storytelling has provided a uniquely revealing mirror to mankind's psychological development over the past 5000 years. This seminal book opens up in an entirely new way our understanding of the real purpose storytelling plays in our lives, and will be a talking point for years to come. 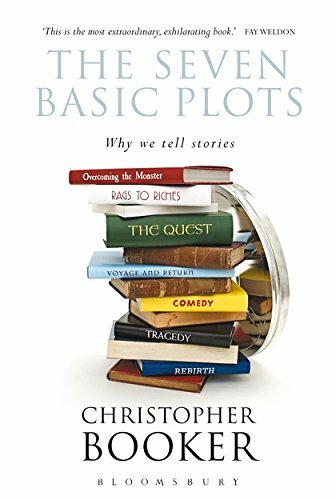 About: From The Epic of Gilgemesh to Jaws and Schindler's List, Christopher Booker examines in detail the stories that underlie literature and the plots that are basic to story telling through the ages. About: Examines the basis of story telling in literature, film, and libretto. With Alasdair Roberts | from Aberdeen Univ Pr (June 1, 1980); titled "Out to Play: The Middle Years of Childhood"